Accurate Marine Environmental (AME) is an experienced, properly licensed, fully permitted and equipped mobile and fixed facility. 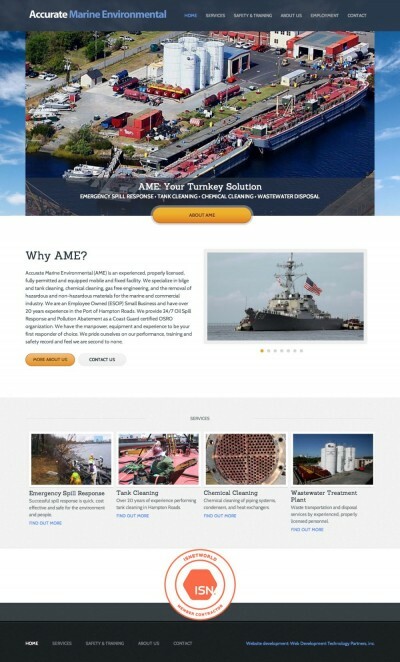 AME specializes in bilge and tank cleaning, chemical cleaning, gas free engineering, and the removal of hazardous and non-hazardous materials for the marine and commercial industry. 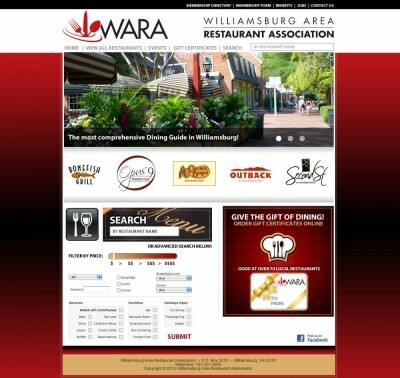 WARA was in need of a serious site redesign. The new site acts both as a guide to Williamsburg area restaurants for the general public and as a membership recruitment tool. Chauvin Mechanical is a Williamsburg, Virginia heating and air conditioning company, founded in 1987. Chauvin installs and maintains home comfort systems for both homeowners and local businesses. 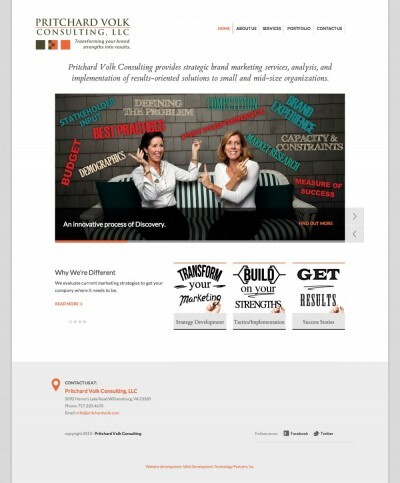 Pritchard Volk Consulting provides strategic brand marketing services, analysis, and implementation of results-oriented solutions to small and mid-size organizations. 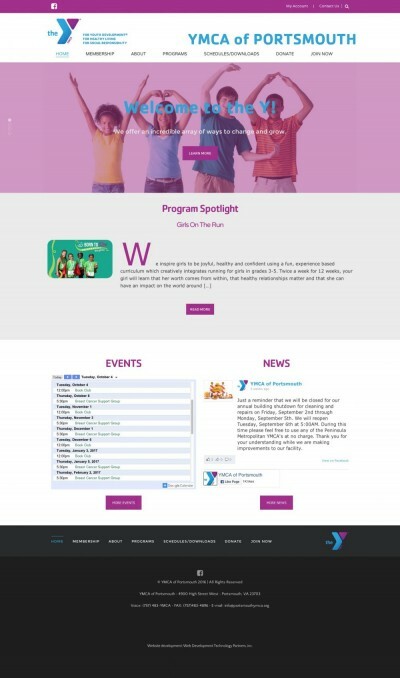 VolunteerWilliamsburg.org is a web application that connects volunteers with available volunteer opportunities in the Williamsburg, VA area. 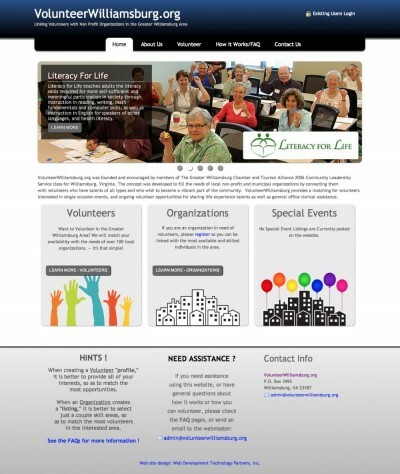 The system automatically notifies both Organizations in need of help and the individual volunteers on a daily basis of potential matches. 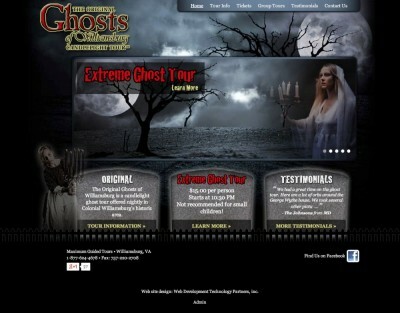 All while maintaining complete privacy of personal contact information. 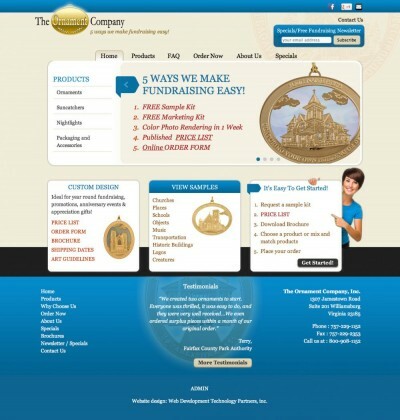 The Ornament Company has been making fundraising easy for over twenty years by providing high quality ornaments combined with marketing assistance to their customers. The Ornament Company was the first and still the only company to combine a hand-swirled stained glass background with their ornaments, which converts them into a suncatcher. 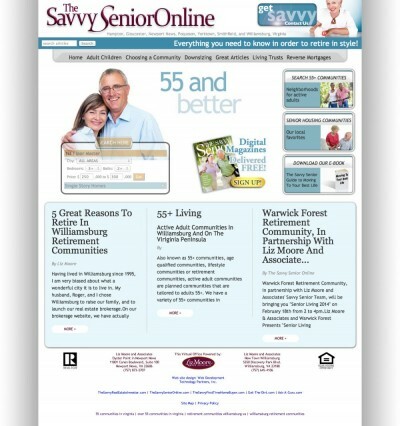 TheSavvySeniorOnline.com is a website focused on meeting the realty needs of the 55 and over community in Hampton Roads. 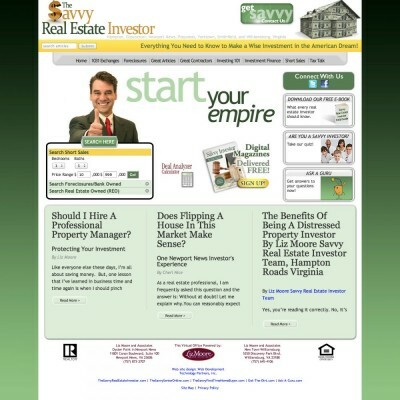 TheSavvyRealEstateInvestor.com is a website focused on meeting the realty needs of those interested in buying property for investment purposes. 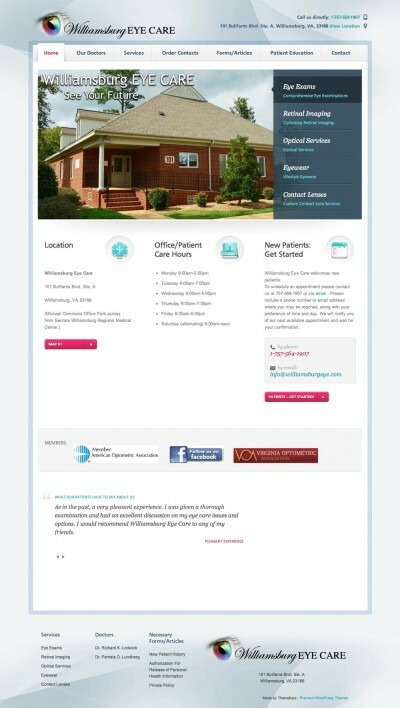 Williamsburg Eye Care offers comprehensive eye care services in the Williamsburg, VA area. 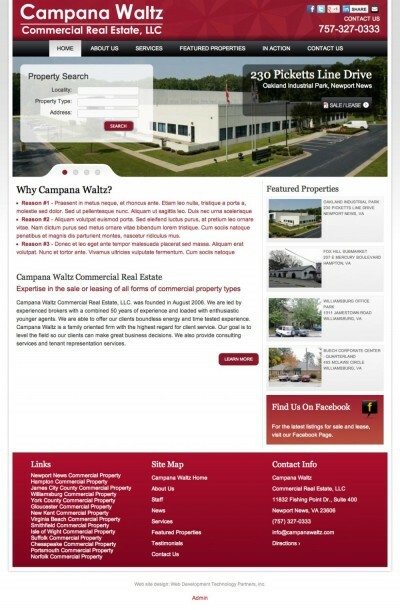 Campana Waltz is a commercial real estate broker in Southeastern Virginia. 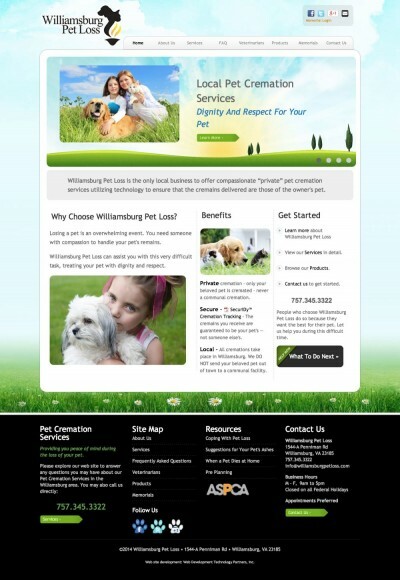 Williamsburg Pet Loss is the only Williamsburg, VA business to offer compassionate “private” pet cremation services utilizing technology to ensure that the cremains delivered are those of the owner's pet. 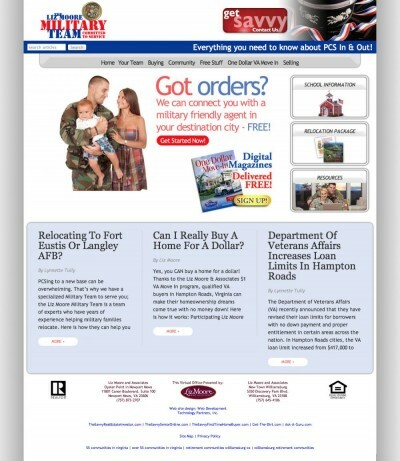 HamptonRoadsPCS.com is a website focused on meeting the realty needs of the military community in Hampton Roads. 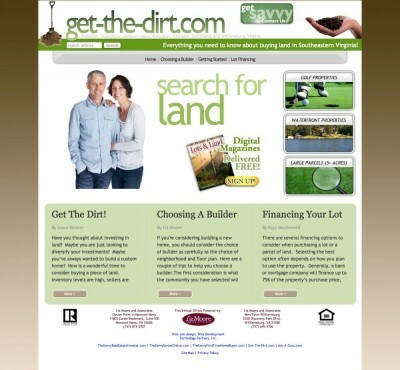 Get-The-Dirt.com is a website focused on meeting the realty needs of those interested in purchasing land. 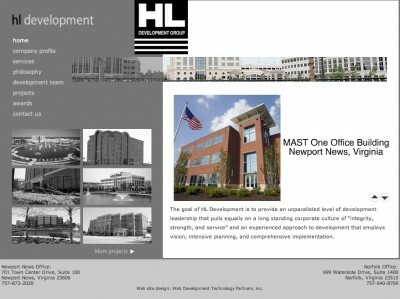 HL Development Group provides development services to a variety of public - private constituencies including leading regional, national, and international corporations, to private investment partnerships, and to City, State, and Federal agencies. 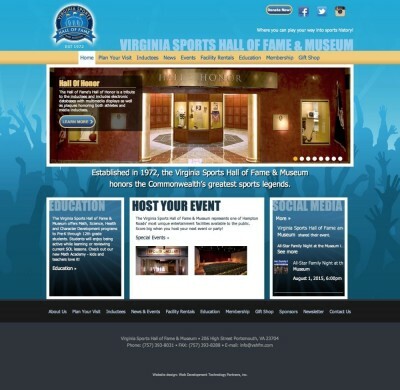 The nonprofit WMA organization has three components: The Williamsburg Symphony Orchestra, a professional orchestra; The Williamsburg Symphony Orchestra League, a fundraising and supporting organization; and The Williamsburg Youth Orchestras, which give area students the opportunity to play in a full orchestra. Located adjacent to the pristine, cypress-lined fresh waters of historic Powhatan Creek, The Settlement at Powhatan Creek is set among a dense variety of deciduous and evergreen trees native to southest Virginia. Over 70% of the community’s 225 acres is dedicated green space and preserved freshwater wetlands. VACEP has been the voice of emergency medicine in Virginia since 1970 and represents more than 700 emergency physicians in many different settings, in community and academic practice throughout Virginia. Emergency Medicine residents and medical students from all the training programs in Virginia are represented as well. 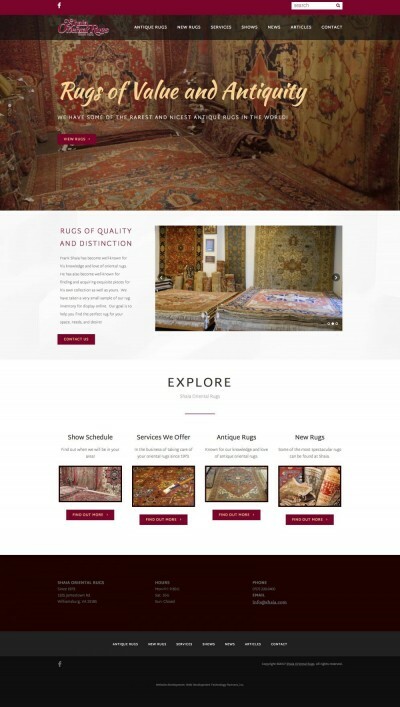 Frank Shaia has become well-known for his knowledge and love of antique oriental rugs. He has also become well-known for finding and acquiring exquisite antique pieces for his own collection as well as yours. 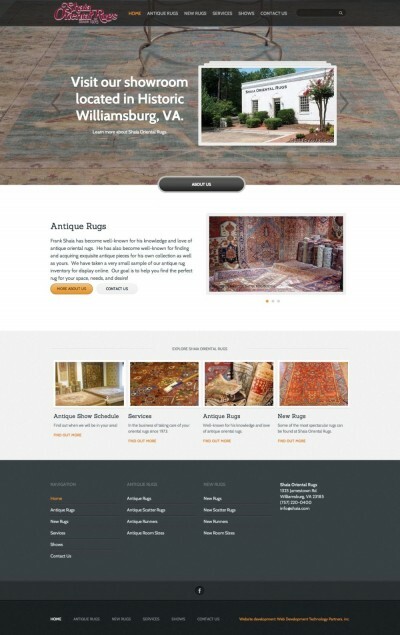 We have taken a very small sample of our antique rug inventory for display online. Our goal is to help you find the perfect rug for your space, needs, and desire! 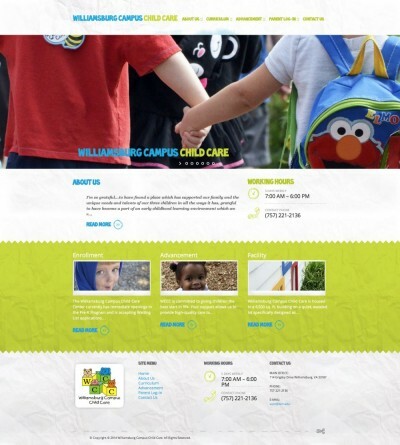 Williamsburg Campus Child Care (WCCC), a 501c3 organization, has been providing day care and early childhood education to Williamsburg families on the campus of William & Mary since 1981. The campus and the child care program are enriched by the intellectual, creative and physical resources of the College of William and Mary. 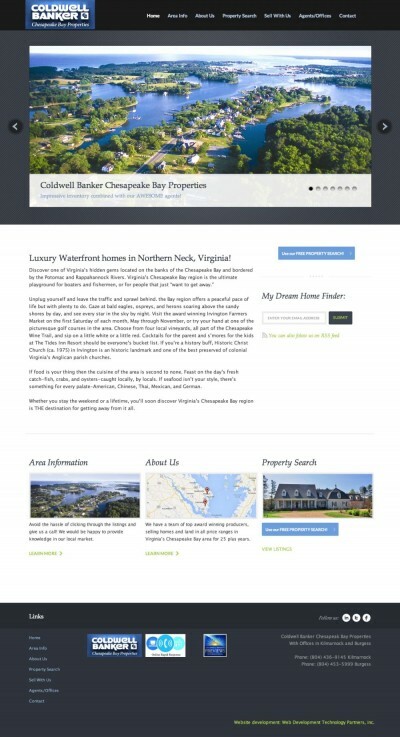 Coldwell banker Chesapeake Bay Properties is an independently owned and operated full service estate company. 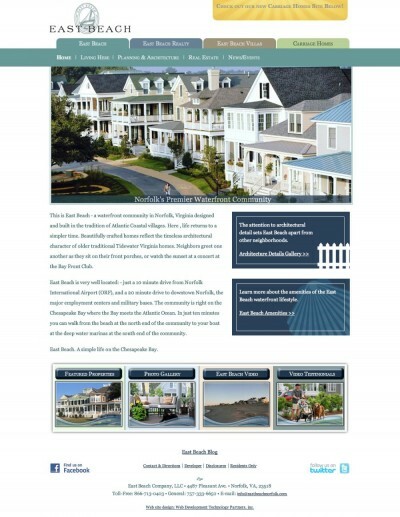 VISON, FOCUS, EXPERIENCE, COMMUNICATION…and the best people in real estate at your service. Shop3DChimera.com is the e-comerce storefront of 3DChimera.com, a 3d printing, 3d scanning & design studio located in Miami, Florida. Shop3DChimera.com sells 3d printing & 3d scanning equipment and distributes many top tier technologies in addition to providing training. WooCommerce Integration for a complete e-commerce solution.